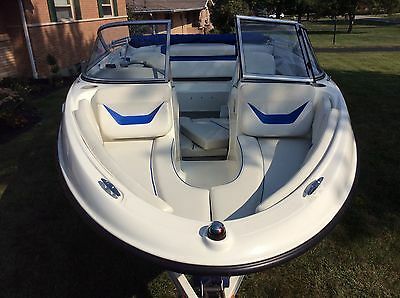 Like new 2006 Bayliner 185 open bow with the optional sun and fun package plus the optional 190 horse Chevy V6 Mercruiser. Low hours. I bought this boat brand new at Lou Wendell marine in St. Albans West Virginia. This boat was used on local lakes and the occasional Ohio River. I never kept this boat in the water and it has always been garage kept. Oil changed and winterized every winter. New trailer tires, battery, water pump and impeller. This boat looks awesome and runs like it is brand new.